VIRGINIA CALL TAG Size 1.25 X 3 Custom Engraved with Name and Call Sign. Comes with pin back. Note when ordering more than one tag shipping will be adjusted by Jeanne. VT HAM PLATE CALL TAG Size 2 X 3 Custom Engraved with Name and Call Sign. Comes with pin back. Note when ordering more than one tag shipping will be adjusted by Jeanne. WASHINGTON CALL TAG Size 2 X 3 Custom Engraved with Name and Call Sign. Comes with pin back. Note when ordering more than one tag shipping will be adjusted by Jeanne. WASHINGTON CALL TAG Size 1.25 X 3 Custom Engraved with Name and Call Sign. Comes with pin back. Note when ordering more than one tag shipping will be adjusted by Jeanne. WEST VIRGINIA CALL TAG Size 2 X 3 Custom Engraved with Name and Call Sign. Comes with pin back. Note when ordering more than one tag shipping will be adjusted by Jeanne. WEST VIRGINIA CALL TAG Size 1.25 X 3 Custom Engraved with Name and Call Sign. Comes with pin back. Note when ordering more than one tag shipping will be adjusted by Jeanne. WHITMAN ARC CALL TAG Size 2 X 3 Custom Engraved with Name and Call Sign. Comes with pin back. Note when ordering more than one tag shipping will be adjusted by Jeanne. WISCONSIN CALL TAG Size 1.25 X 3 Custom Engraved with Name and Call Sign. Comes with pin back. Note when ordering more than one tag shipping will be adjusted by Jeanne. WYOMING CALL TAG Size 2 X 3 Custom Engraved with Name and Call Sign. Comes with pin back. Note when ordering more than one tag shipping will be adjusted by Jeanne. WYOMING CALL TAG Size 1.25 X 3 Custom Engraved with Name and Call Sign. Comes with pin back. Note when ordering more than one tag shipping will be adjusted by Jeanne. YANKEE ARC CALL TAG Size 2 X 3 Custom Engraved with Name and Call Sign. Comes with pin back. Note when ordering more than one tag shipping will be adjusted by Jeanne. AMSAT CALL TAG Size 1.25 X 3 Custom Engraved with Name and Call Sign. Comes with pin back. AMSAT Design. ARES CALL TAG Size 1.25 X 3 Custom Engraved with Name and Call Sign. Comes with pin back. ARES Design. 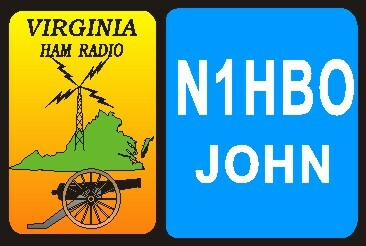 ARRL CALL TAG Size 2 X 3 Custom Engraved with Name and Call Sign. Comes with pin back.ARRL Design. 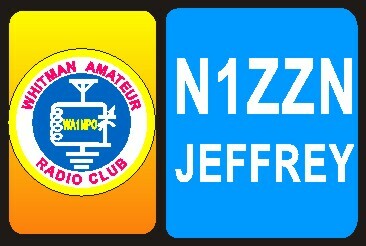 ARRL CALL TAG Size 1.25 X 3 Custom Engraved with Name and Call Sign. Comes with pin back.ARRL Design. EAGLE CALL TAG Size 2 X 3 Custom Engraved with Name and Call Sign. Comes with pin back. Eagle Head Design. 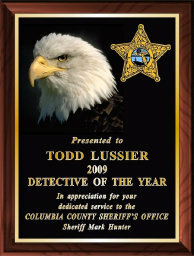 EAGLE CALL TAG Size 1.25 X 3 Custom Engraved with Name and Call Sign. Comes with pin back. Eagle Head Design. 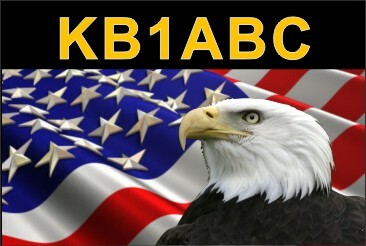 US Flag Call Tag customized with your call sign & name. Available in 2 sizes 2"x3" & 1 1/4"x3"